NICE UPDATE! 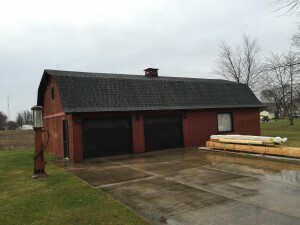 This 25 x 50 gambrel barn was actually lived in while the homeowner was building his main residence; thus, the barn has climate controls (heat & a/c). 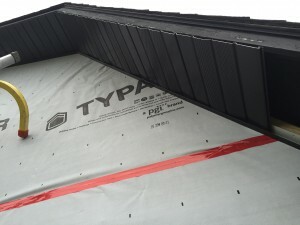 As a result, we installed Typar housewrap directly over top of the existing T-111 wood siding. This serves two purposes. 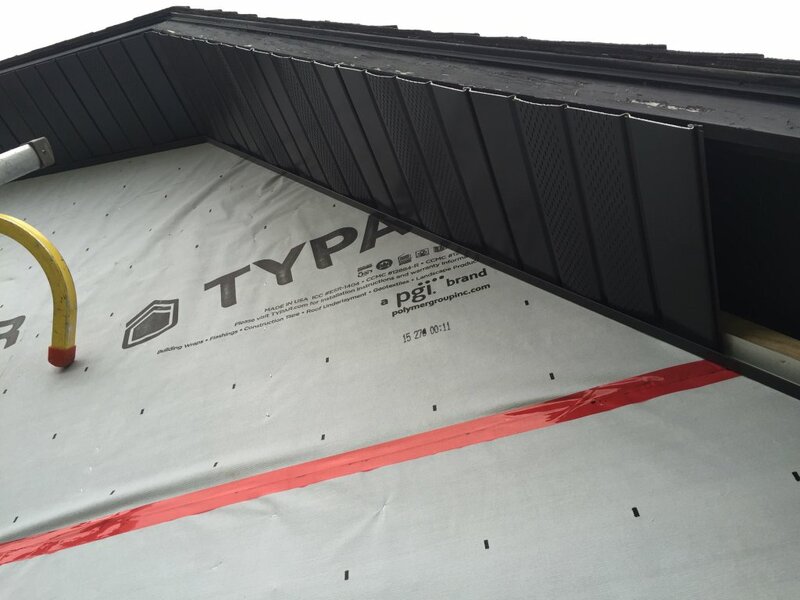 One, it will further enhance the energy efficiency of the building by helping to reduce drafts. Two, it will serve as a moisture barrier beneath the steel siding (since the building is heated). 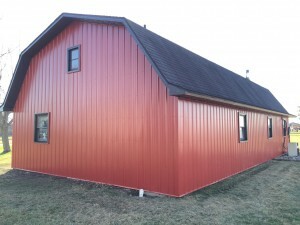 The steel siding is ProRib red from Menards (40 year warranty). 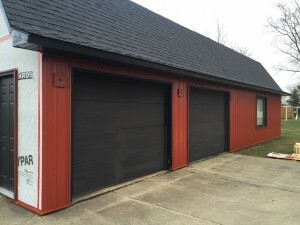 Soffit boxes were built to enhance the look of the building, and black ProRib trim was installed. 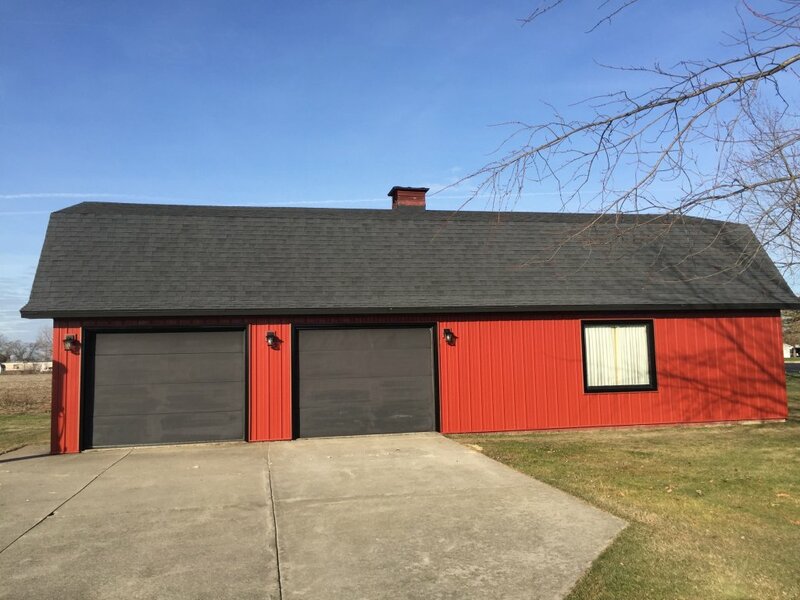 The contrast of black and red looks GREAT on this style building! Finally, we wrapped all window/door trim with black aluminum coil stock and sealed it up with 100% silicone caulk (black). 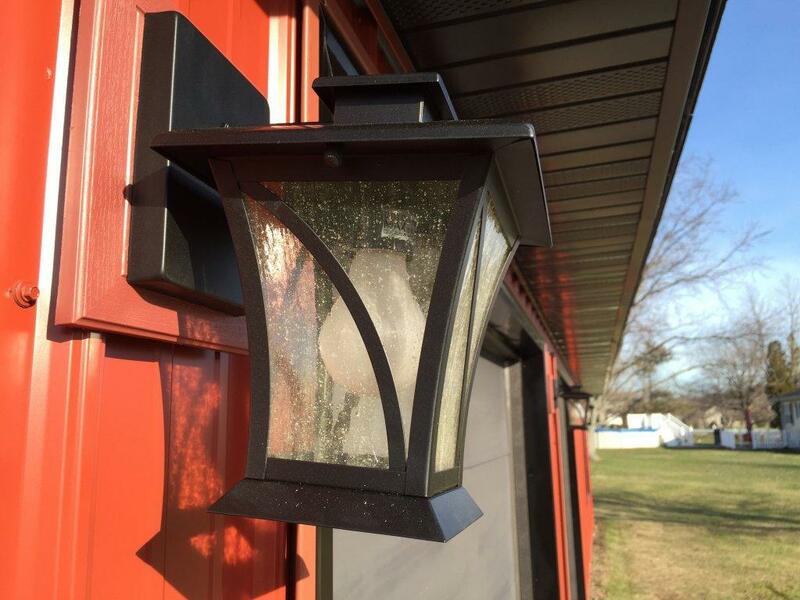 As always on a siding job, I will install new light fixtures free-of-charge if you supply the lights. 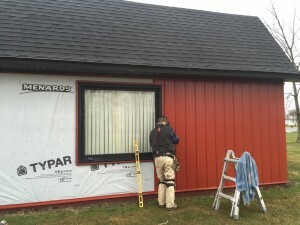 Next spring, we are slated to return and install all new insulated windows to complete the makeover. 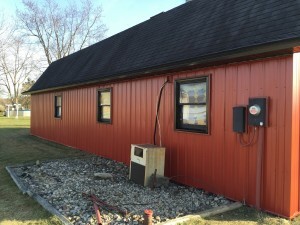 Give me a shout if you’d like a FREE ESTIMATE for your home improvements: 419-212-3200.